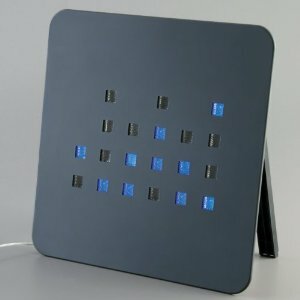 This LED Binary Clock takes binary to a new level! With this elegant digital display you can view time in a whole new way. There is a switch that lets you change from 12 to 24 hour display. Great conversational piece for your home or office. With your leisure of placing it on the wall or on your table.